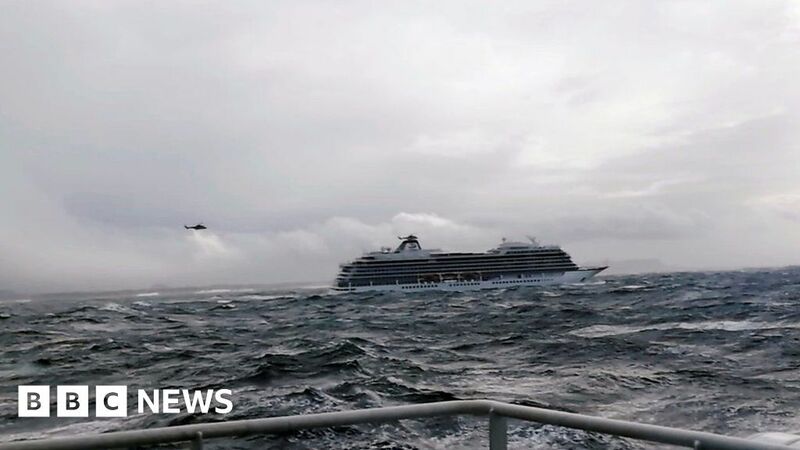 Helicopters have been airlifting passengers to safety after their cruise liner ran into difficulty off the coast of Norway. MV Viking Sky sent out a distress call warning of engine problems at about 13:00 GMT, amid treacherous seas and strong winds. Bad weather was hampering rescue efforts, with waves of more than 10 metres high being reported.